Own Midsomer Murders - Nelsons Casebook DVD from Deff, DVD, Blu-Ray & 4K Video Specialists - Free UK Delivery..
Own Midsomer Murders - The Summer Collection DVD from Deff, DVD, Blu-Ray & 4K Video Specialists - Free UK Delivery..
Own Midsomer Murders - Vixens Run DVD from Deff, DVD, Blu-Ray & 4K Video Specialists - Free UK Delivery..
Own Midsomer Murders Series 1 to 2 DVD from Deff, DVD, Blu-Ray & 4K Video Specialists - Free UK Delivery..
Own Midsomer Murders Series 10 DVD from Deff, DVD, Blu-Ray & 4K Video Specialists - Free UK Delivery..
Own Midsomer Murders Series 12 DVD from Deff, DVD, Blu-Ray & 4K Video Specialists - Free UK Delivery..
Own Midsomer Murders Series 14 DVD from Deff, DVD, Blu-Ray & 4K Video Specialists - Free UK Delivery..
Own Midsomer Murders Series 15 DVD from Deff, DVD, Blu-Ray & 4K Video Specialists - Free UK Delivery..
Own Midsomer Murders Series 16 DVD from Deff, DVD, Blu-Ray & 4K Video Specialists - Free UK Delivery.. Starring Neil Dudgeon as Detective Chief Inspector John Barnaby this DVD collection contains all four episodes from the seventeenth series of Midsomer Murders. Set in the idyllic, picturesque county of Midsomer, all is not as it seems and beneath the tranquil surface of villge life exists a disturbing and cunning propensity for murder. Special Features Behind The Scenes Featurettes, Cast Filmographies, Picture Galleries, Biography Of T.. 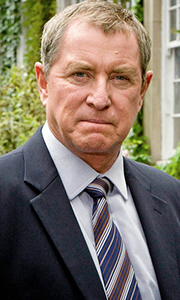 Starring Neil Dudgeon as Detective Chief Inspector John Barnaby this DVD collection contains all six episodes from the Eighteenth series of Midsomer Murders. Set in the idyllic, picturesque county of Midsomer, all is not as it seems and beneath the tranquil surface of village life exists a disturbing and cunning propensity for murder. Episodes: Habeas Corpus, The Incident at Cooper Hill, Breaking the Chain, A Dying Art, Saints and Sinne.. Starring Neil Dudgeon as Detective Chief Inspector John Barnaby, and introducing Nick Hendrix as DS Jamie Winter, this DVD collection contains the first three episodes from the nineteenth series of Midsomer Murders. Set in the idyllic, picturesque county of Midsomer, all is not as it seems and beneath the tranquil surface of village life exists a disturbing and cunning propensity for murder. Featured episodes: The Village that Rose from..
Own Midsomer Murders Series 3 to 4 DVD from Deff, DVD, Blu-Ray & 4K Video Specialists - Free UK Delivery..
Own Midsomer Murders Series 8 DVD from Deff, DVD, Blu-Ray & 4K Video Specialists - Free UK Delivery..
Own Midsomer Murders Series 9 DVD from Deff, DVD, Blu-Ray & 4K Video Specialists - Free UK Delivery..
Own Midsomer Murders - Ben Jones Casebook DVD from Deff, DVD, Blu-Ray & 4K Video Specialists - Free UK Delivery..
Own Midsomer Murders - Christmas Collection DVD from Deff, DVD, Blu-Ray & 4K Video Specialists - Free UK Delivery..
Own Midsomer Murders - Troys Casebook Boxset DVD from Deff, DVD, Blu-Ray & 4K Video Specialists - Free UK Delivery..
Own Midsomer Murders Series 11 DVD from Deff, DVD, Blu-Ray & 4K Video Specialists - Free UK Delivery..
Own Midsomer Murders Series 13 DVD from Deff, DVD, Blu-Ray & 4K Video Specialists - Free UK Delivery..
Own Midsomer Murders Series 5 to 6 DVD from Deff, DVD, Blu-Ray & 4K Video Specialists - Free UK Delivery..
Own Midsomer Murders Series 7 DVD from Deff, DVD, Blu-Ray & 4K Video Specialists - Free UK Delivery..